Lock in a great price for NH Collection Plaza Santiago – rated 8.8 by recent guests! The Hotel is centrally located in the business district right next to the new Sky Tower and a large shopping mall. It’s very clean, new, spacious, and nicely decorated with professional staff. We like the breakfast and shower. The Internet is super fast (vs the all hotels we stayed in the past 6 weeks) and we managed to upload our photos to iCloud and back up everything. Staff friendly. Good infra structure. Well located. The pillows and bed were comfortable, felt like sleeping on a cloud. Service was great, also breakfast really good and very complete gym. The hotel is very well maintened, clean and with very respectful and helpful staff. The breakfast was very complete, with a great variety of products. I have tried the restaurant and it was excellent. The reception staff are nice and helpful. They are eager to assist us. NH Collection Plaza Santiago This rating is a reflection of how the property compares to the industry standard when it comes to price, facilities and services available. It's based on a self-evaluation by the property. Use this rating to help choose your stay! One of our top picks in Santiago.Boasting an indoor swimming pool, health club services and an award-winning restaurant and cocktail lounge, this luxurious hotel has an on-site sauna room, free WiFi, and all comforts in Santiago. Costanera Center shopping mall is right across the street. The NH Collection Plaza Santiago features a 5-star style and facilities. Guests can enjoy an anti-jet lag massage treatment and workout at the state-of-the-art gym. Rooms are nonsmoking and have a chic ambiance, with wooden floors, floor-to-ceiling curtains and an off-white palette with soft ocher accents. There is elegant wood furniture. All rooms have cable TV, mini-bars and refrigerators. Some bathrooms include baths. An optional full buffet breakfast with fresh juices and pastries is served. Guests can also enjoy breakfast in their rooms. Brass Restaurant offers á la carte specialties. 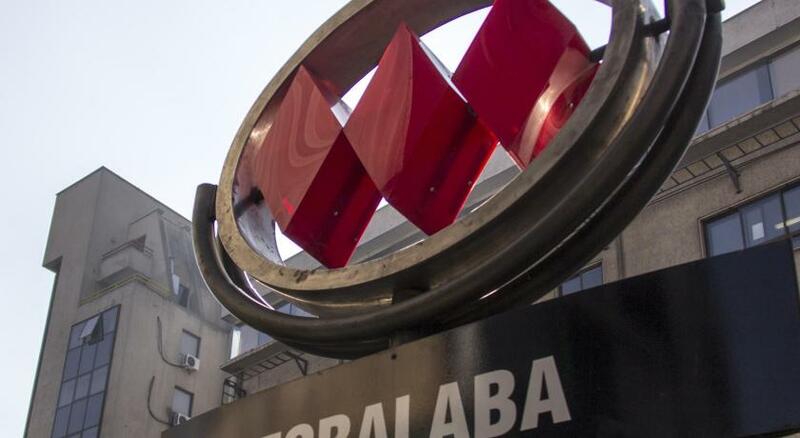 Tobalaba Metro Station is 4 blocks from the NH Collection Plaza Santiago and Arturo Merino Benitez Airport is a 25-minute drive from the hotel. Free private parking is available. This property also has one of the top-rated locations in Santiago! Guests are happier about it compared to other properties in the area. When would you like to stay at NH Collection Plaza Santiago? This suite features a hot tub. 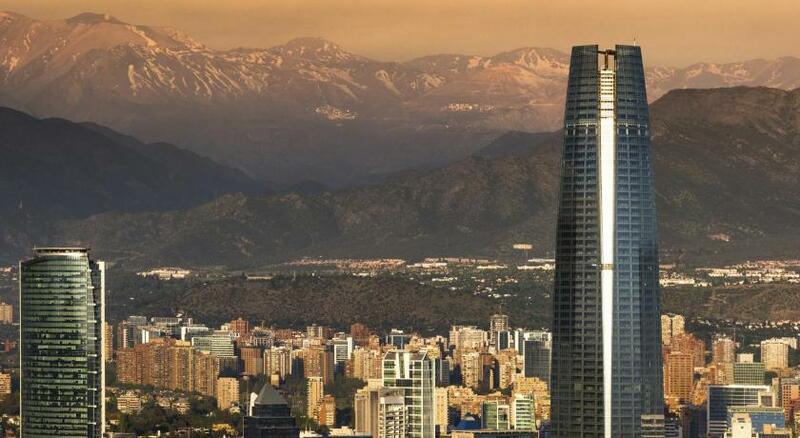 NH Collection Plaza Santiago is located in the financial heart of the capital, alongside plenty attractions. Getting to and from your business meetings is simply a matter of stepping out our door. Our restaurant serves the best international cuisine. House Rules NH Collection Plaza Santiago takes special requests – add in the next step! NH Collection Plaza Santiago accepts these cards and reserves the right to temporarily hold an amount prior to arrival. Please notice the extra beds are only available in superior rooms upon reservation. Guest must contact the property for this request. When booking a breakfast-included rate, please note that on Sunday and local public holidays, breakfast is available until 12:00 and late check out is possible until 15:00. Good location in the city. My room (number 304 ) had two problems.. the shower leaking the whole time (I suggest to have a look at it ), and the hairdryer working just 30sec and then switched off alone. The staff are friendly, but with limited English. It would also be nice if they can provide complementary bottles of drinking water as the tap water doesn’t taste nice. Outside part doesn´t have a happy hour. Some of the facilities that were listed (such as free toileteries or souveniers) weren't given to us. Their breakfast's croissants were bland and dry. The suite did only have one phone, in the bedroom and none in the living area One bathrobe in a suite for two is close to ridiculous Only one remote control for the two TVs.... Complaining about these three things to the floor supervisor after the second night, they were corrected. The air conditioning system was faulty. Suite is too white, it definitely needs some rugs and other ornaments/decor to make it feel warmer, and homier. Air conditioning was loud. They didn’t have bath salts . Clean and spacious. The staff was gentle. The restaurant was over priced for the Christmas Eve meal. It was good but not good enough for what we paided. We went there to shop and relax for Christmas. The one request was a bathtub, they gave us a jacuzzi. WOW! This hotel is in the berfect location for shopping at the 5 story mall across the street. There is limited amenities in the hotel. The swimming pool and its surrounding looks dated. We like the breakfast with abundant of fresh fruits and drinks. The location is the best among 5 stars hotels. It is only 5 minutes walk to the largest shopping center in Santiago. The staff provides excellent service but command of English is limited. The room is very comfortable, refreshed, cleaned and with good views.